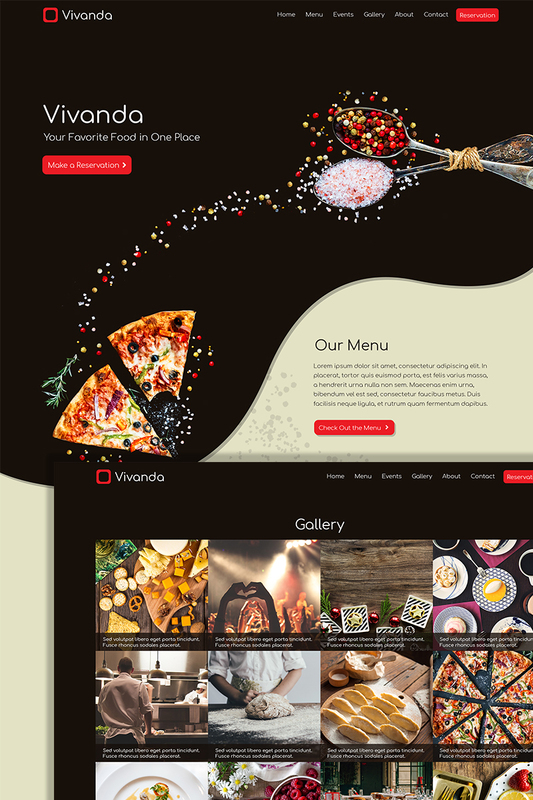 Vivanda in an HTML template with simple and easy to edit code and clean and modern design. It contains 7 pages that brings forward the essential information you want to show about your business. It also has practical features such as contact and reservation forms and gallery and much more. KUP TERAZ - 274 zł.